The air at the Tad James Co. is buzzing with excitement, enthusiasm and many new enrollments! “The difference between the dreamers and the doers is consistent, purposeful action.” – Jack D. Hodge, The Power of Habit. A huge congratulations to our most recent practitioner graduates who have just concluded their training in Brisbane! The next training taking place in Sydney, Australia is the Secret of Creating Your Future® seminar that will be held on the 4th and 5th of May, 2019. The NLP FasTrak™ Practitioner Certification Training runs from the 8th – 14th of May, followed with the NLP Master Practitioner Training commencing on the 18th of May till the 2nd of June, conducted by Dr. Adriana James herself! While the Australian team prepares for the big month ahead, our US team are focused on their next NLP FasTrak™ Certification Training led by Simon Gledhill that is happening on the 25th of April till the 1st of May in Orlando, Florida. 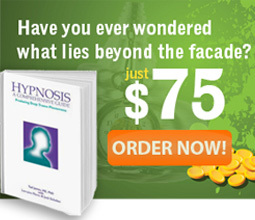 Secure your seat and transform yourself in ways you never thought possible! Give us a call on US 1-888-440-4823 / AU 1-800-133-433 today! Is This The Reason Why It Is Hard To Shed The Pounds? Part 1 by Dr. Adriana James – In Part 1 of this article, Dr. Adriana James talks about weight gain and the reasons behind why it is a challenge for so many to lose weight. As weight gain is influenced by stress and adrenal fatigue, Dr Adriana explains the importance of the mind in the process of losing weight and teaches you to comprehend the ‘WHY’ behind your body responding the way it does. Read on more here! How Media Manipulates You through Language – Part 2 by Dr. Adriana James – In Part 2 of this series, Dr. Adriana James continues to enlighten us on how language has a profound effect over decisions and belief. She discusses how we limit ourselves from achieving our goals and objectives without realizing that we are disempowering ourselves through the power of language. Read on to find out how language is a tool that can lead to fear and rob you from your creative power to succeed in spite of all adversities. This is the book that kicked it all off. The original Time Line Therapy® book by Dr. Tad James. Read all about Time Line Therapy®. Also included are sections on Meta Programs and Values. One of the most important books in the field. 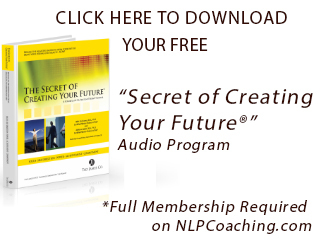 It is a must read – and compulsory reading for the FasTrak NLP Practitioner with The Tad James Company.